Global Insulation is seeking high-quality articles for the Global Insulation Section in Global Gypsum Magazine. Whether you have information on the latest trends, would like to write about a project / upgrade case-study at an insulation plant, want to give us a overview of your plant, or have an innovative product or service for the industry, we want to hear from you. We are interested in high-quality articles on all aspects of insulation chemistry, additives, recycling, properties, testing and industry trends. 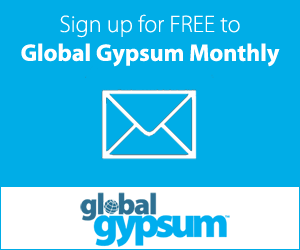 For more information, please see Submitting an article to Global Gypsum on our website.